If you love antique pieces and are a modern art enthusiast, this is definitely your cup of tea. 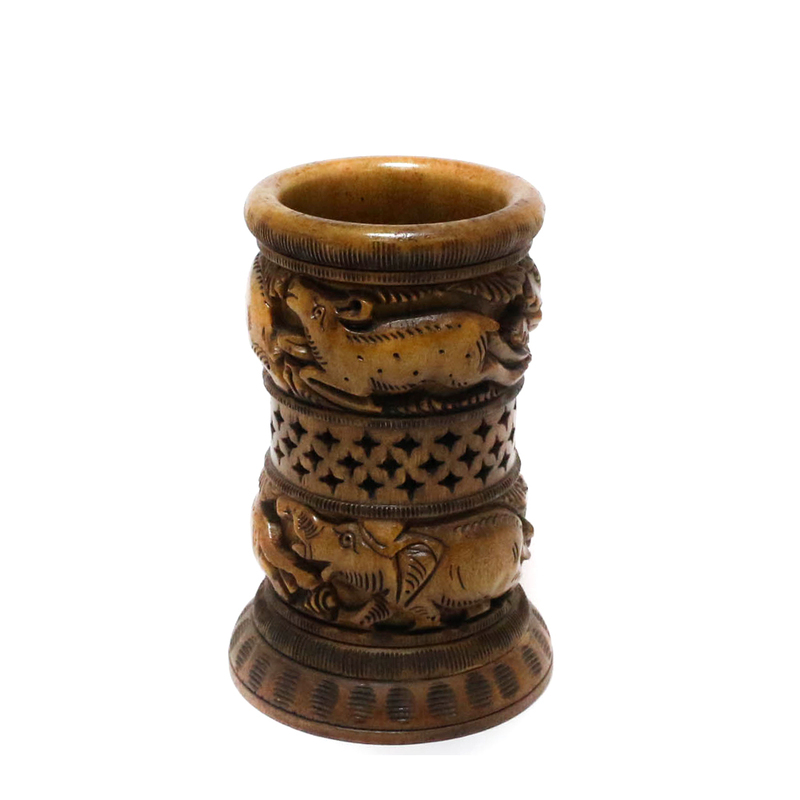 This particular vase has that antique vibe Read More..about it because of the wooden finish and the intricately detailed animal carvings along with net like carvings surely give it a modern look. This is perfect for living rooms, study desks, small personal study rooms and on night stands Show Less..